Congratulations to all youth who are winning scholarships this year by coming to our shows and showing. It is great to have been able to give out the scholarships we have. If you need more information on the scholarship program, please contact Kathryn at kwebb50@msn.com or call 801-380-4031. Remember - if you earn a scholarship, we want your help in the fall for the Youth Scholarship Silent Auction. We are restructuring the UCHA Youth Scholarship program. The will be called the UCHA Scholarship Foundation and all donations will be tax deductible. We are excited about our improvements. 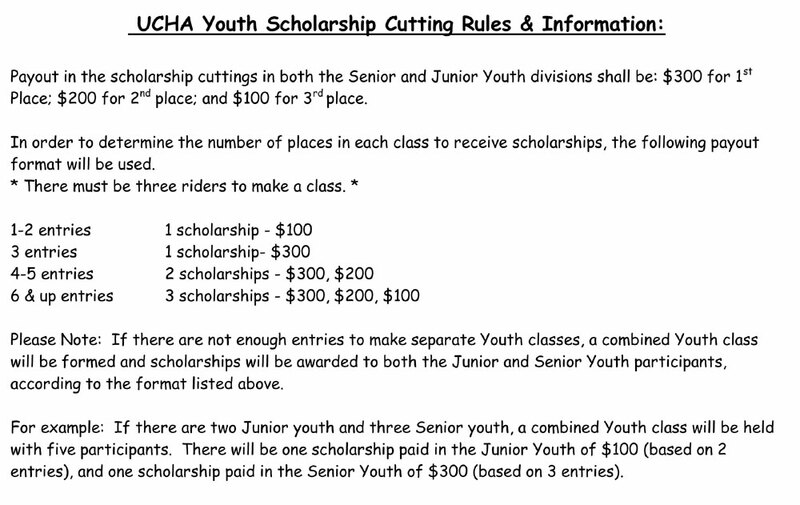 Please review the UCHA Scholarship Foundation Rules. 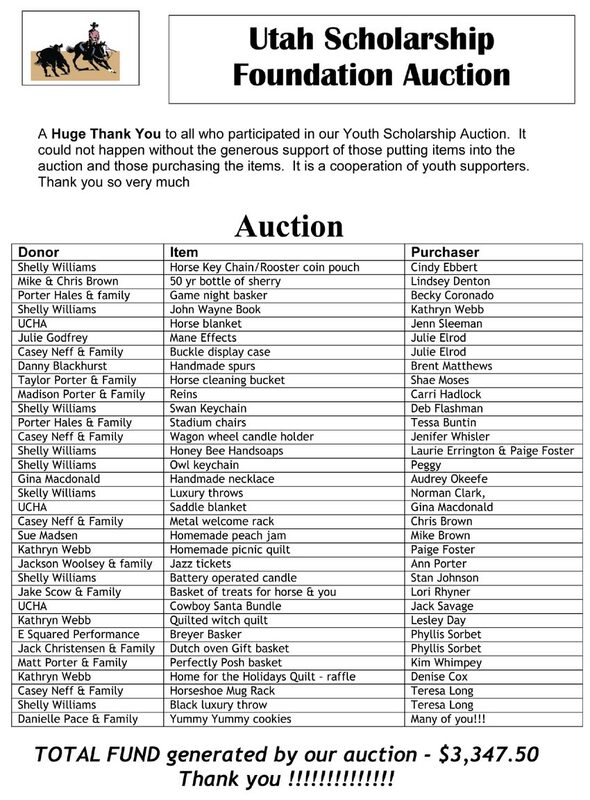 Thank you to all who donated and bought items at the Youth Scholarship Auction. Your support is greatly appreciated.